In summer, we all like to have a cool indoor environment in our homes to enjoy some respite from the hot weather outside. However, the situation is even more critical for business owners and managers. A hot workplace is far less productive and could even be hazardous to employees and visitors. One would expect that staying cool would require more energy and consequently higher bills. This is not always the case; there are some techniques that can help people to stay cool without reaching for the thermostat. Here are three ways to stay cool without overusing your commercial air conditioning system. Turn off the AC system at night and if possible open the windows to let cooler night air in to freshen the rooms. Avoid conducting any unnecessary heat generating operations during the day, when they will add to the heat problems. Instead, consider switching these operations to night time for the duration of summer. During the day, ensure that blinds and shades are used on the windows to keep out sunlight that will heat up the indoor spaces. Consider using fans to circulate the treated air even more effectively around the office. This may seem like a crazy idea, and some people are hesitant to take this advice. However, we need to advise you that turning your temperature lower will not cool your building down faster. This practice will only waste precious energy to keep you cooler than you actually need to be. A comfortable temperature for adult humans is 25℃, and this should be your ideal temperature setting in summer. There is no need to spend money turning your indoor space into a fridge. In fact, this will make you and your employees more susceptible to summer colds and give you a shock when you leave the building. A well serviced air conditioning system will be more energy efficient and less likely to fail when you need it most. Schedule an annual check up before the heating or cooling seasons begin to ensure that you can get an appointment. Professional HVAC technicians are in high demand during the most extreme times of the year, so book early to avoid disappointment. If they are looking for commercial air conditioning, Perth business owners and property managers should contact us here at Gas&Air. We have extensive experience in installing and repairing all kinds of air conditioning equipment. 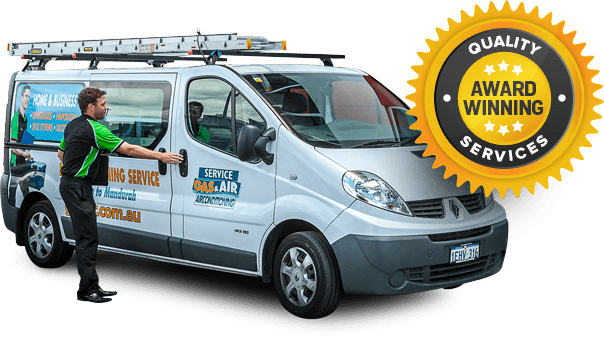 We also offer a comprehensive commercial air conditioning service, Perth business owners will appreciate our professionalism and attention to detail. Our team is ready to discuss your needs in greater detail, and they will be happy to answer any queries that you may have.